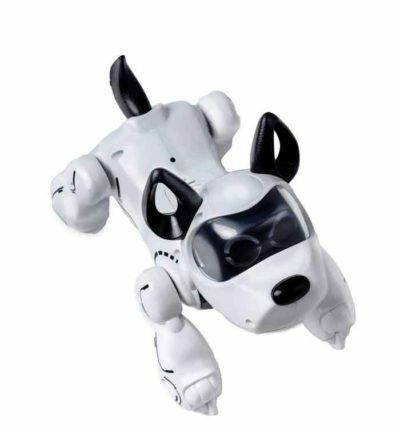 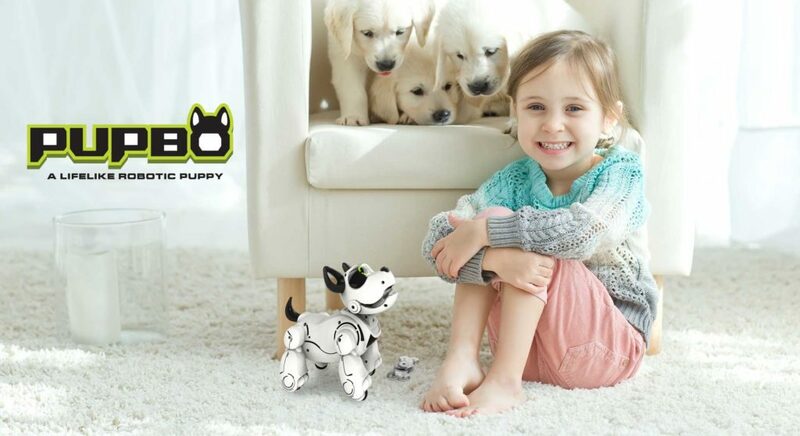 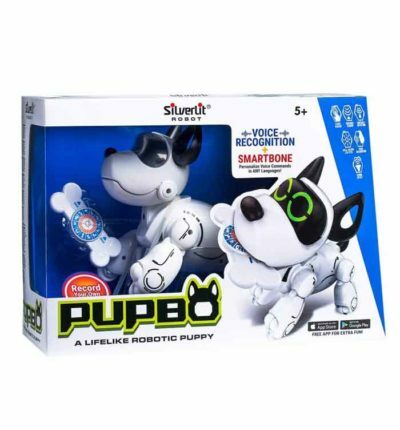 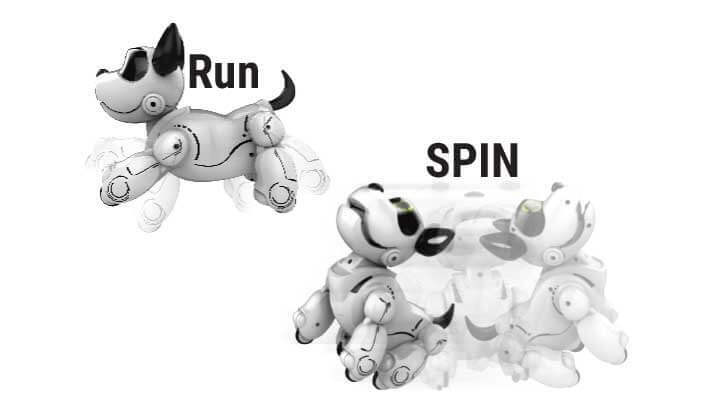 Pupbo is a lifelike robot dog that can learn 12 different tricks via your voice commands. 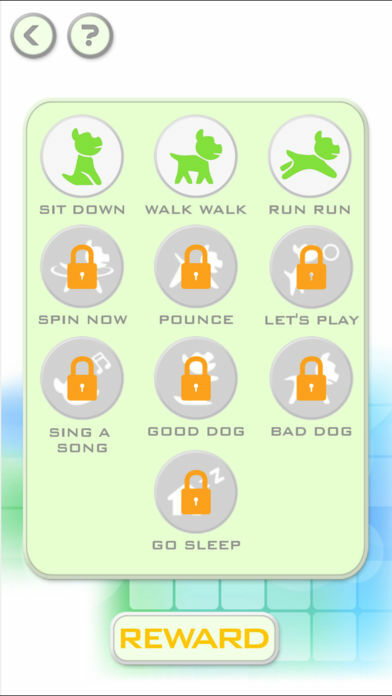 With the SmartBone included, you can name your dog, and also personalize up to 12 different commands in your own secret languages for lifelike poses. 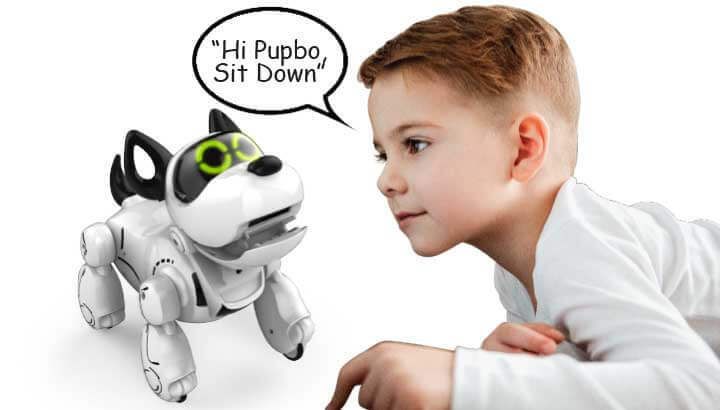 Pupbo has emotions, so when you pet his head he will be happy, when you push his nose he will be sad. 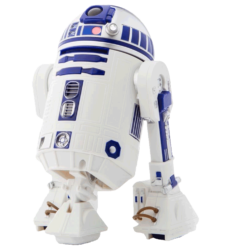 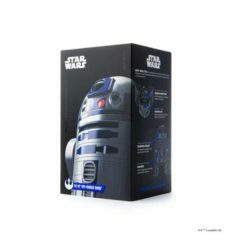 Response to 12 different voice commands (in English). 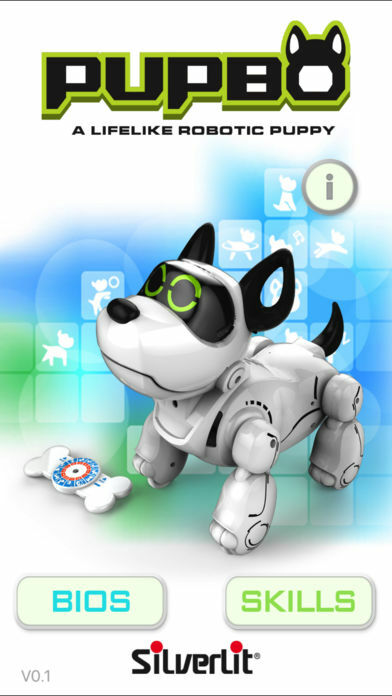 You can name your puppy Put the Smart Bone™ in puppy’s mouth and personalise 12 different voice commands in your own language. 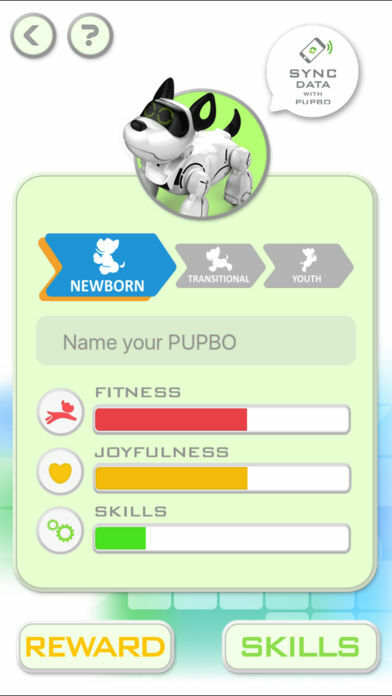 With the free interactive app you are able to view Pupbo’s happiness, health status and direct-control different tricks.